LTD. 10" VINYL !!! - Remy Gallet aka Quasar has been making some serious movements in the dubstep scene of late, with radio support from the likes of J:Kenzo on his acclaimed Rinse show. 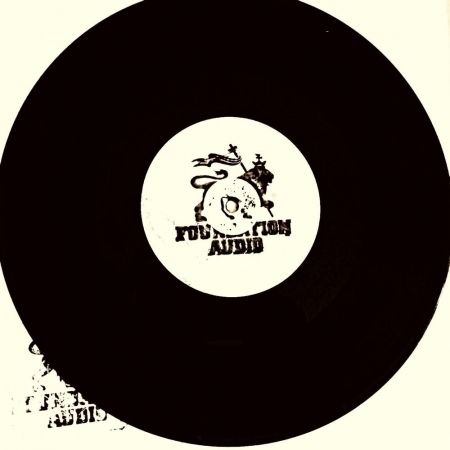 Here he blesses Foundation Audios new 10” hand stamped series FAVX with 2 sought after riddims that have been doing damage in the dance since their creation. A side ‘It’s Over VIP’ is a flip of the classic Portishead tune ‘Biscuit’ - and boy, oh boy has he done the original justice and then some! The track is full of rolling basslines and percussion. Odd vocal snips from the original give space to an otherwise unrelenting track that has got classic written all over it. B side ‘Unrealistic Voices’ with fellow Frenchman Ourman is a moodier affair with its head nodding sub bassline and eastern string melody. Full system pressure from front to back. Quasar and Foundation Audio have pulled out all the stops on this release. Debut records don’t come much better than this, so hat’s off to Remy for this killa plate.